the time has come again, for us to meet this unique and joyous evening, where both the love of English and art become our main means of communication and connection. 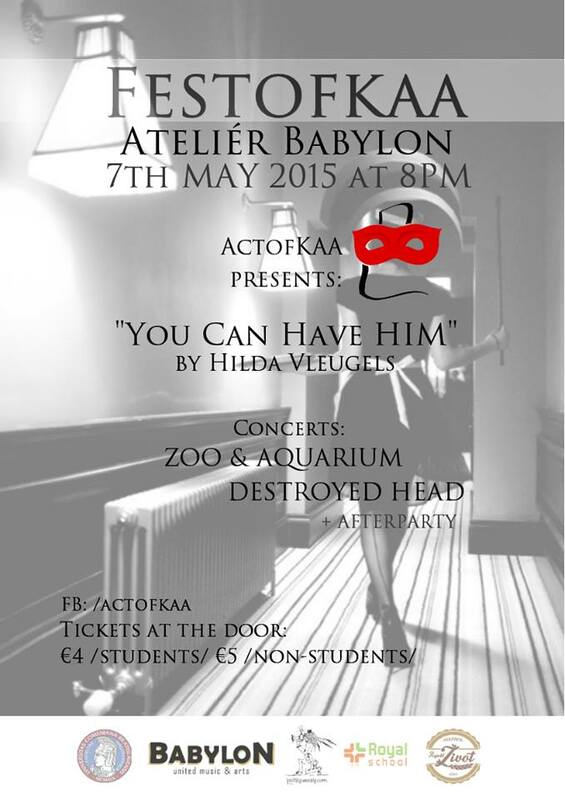 ActofKAA, a student theater troupe from the English Department of Comenius University will present „You Can Have Him“, a contemporary comedy by a famous Belgian author Hilda Vleugels. But wait, there’s more! If you choose to stay for the after party, you´ll definitelly enjoy the urban nujazz vibes of Zoo and Aquarium, followed by the smashing and mind-blowing rock classics performed by Destroyed Head.